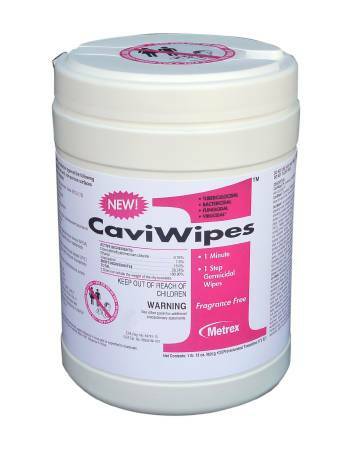 CaviWipes1 disinfectant wipes measuring 6 x 6.75 inches. Comes in a pull-up canister manufactured by Metrex Research. Comes 160 wipes per canister. 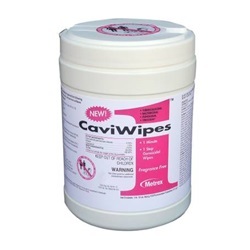 CaviWipes1 is a 1 step low alcohol surface disinfectant offering a 1-minute TB kill claim, materials compatibility plus over 20 other organism claims. Multi-purpose disinfectant/decontaminant wipe, can be used on hard, non-porous surfaces.